No matter what kind of position you are applying for. No matter what level it is at. These selection criteria examples have been selected from thousands of criteria written by recruitment experts, professional writers, marketing experts and people who have won real jobs. 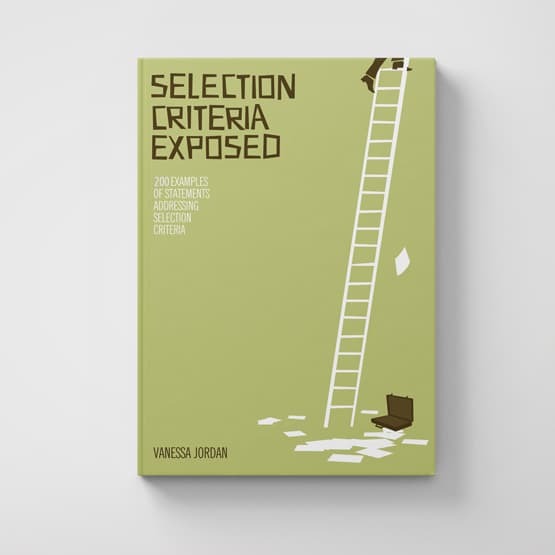 All of the examples in 'Selection Criteria Exposed' have been reviewed by government selection panels and judged as being the benchmark for what high performing selection criteria should look like. Give yourself an advantage over the other applicants. Save time and have your application stand out. You find a job you are interested in, get all excited, look at the selection documentation and know you could do the job, already have a resume that you could send in, start writing the selection criteria ... and get stuck. So many people begin like that. They find the dream job, imagine themselves in the position, know they could do it, get excited about the promotion and higher salary package, have a resume already to go, get ready to write their selection criteria but can't start because they don't know how to go about it or don't finish because it all gets too hard. Maybe you cut and paste from an old application in the hopes that you can get it to fit into these new selection criteria. Maybe you talk to a friend and get some suggestions, or take a look at one of their old applications. What ends up happening is that you waste so much time looking for the magic answer to your selection criteria woes, that you don't get anything written. You can download this publication immediately and be using it in less than 10 minutes! Because thousands of applicants have used it and been successful in securing a government job. Because it comes with a money back guarantee! Now I know exactly what I should be writing without staring at a blank computer screen and hoping for success through trial and error. I wish I had bought this ebook 12 months earlier because I discovered that I was writing my selection criteria wrong for a whole year. I can't believe I wasted all that time and couldn't figure out why I wasn't getting an interview. Some of the sentences in your book are genius. I hope you don't mind me saying that I cut and paste them straight into my application! Thank you for sending out the selection criteria examples straight away. Even though your website says I can download them instantly, I thought I would be waiting at least a day to have them emailed to me. I actually had them open on my computer within a few minutes which is great because my application is due on Monday. Selection Criteria Exposed was the best investment I made all year. I used your examples to help with my own application and got a promotion! I'm so happy, thanks. I have found Selection Criteria Exposed incredibly helpful when writing my own statements addressing selection criteria. I wasn't sure what I was supposed to write, but now I know and I am much more confident with my applications. I just wanted to let you know that I got an interview for my 'dream job' after using Selection Criteria Exposed to help me with my selection criteria. I am sure it's what got me over the line, because there is no way I would have written an application like that on my own! I am about to buy Get That Job to help with my interview preparation. Edit your selection criteria easily, take out the bits that aren't relevant to you and add your own skills and experience to them. Don't neglect your cover letter or resume by focussing just on your selection criteria! 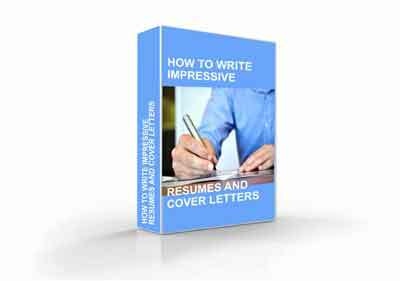 This free ebook will help you write a strong cover letter and targetted resume that will support your selection criteria statements and give you a powerful government job application. Just fill in the blanks in these cover letter and resume templates. Plus, selection criteria templates that contain selection criteria examples plus step by step guidance for writing your own selection criteria responses. 3 unique design formats to choose from, pick one that suits your style. 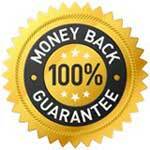 People have called us crazy for offering a 30 day money back guarantee on our products, but we still do it because we stand by the quality of our products and only want HAPPY customers. Before we go any further, you should know that when you buy "Selection Criteria Exposed: 200 Examples of Selection Criteria" you're not only getting 200 examples, and the resume and cover letter book as a bonus, and resume templates, but you'll also get our monthly newsletter packed with more advice and tips on all areas of your government job application and government career.I don't just want to help you with your application here and now, I want to make sure your career keeps developing and growing! Be using your examples in less than 10 minutes! Easy! If you do have any problems, just send us an email and we'll give you a hand. Sound knowledge of Departmental practices and procedures and relating to procurement, or ability to rapidly acquire such knowledge. Demonstrate the ability as a fast learner. Experience in complying with the requirements of Web Content Accessibility Guidelines 2.0 desirable. The ability to develop appropriate business acumen. The ability to achieve positive work outcomes. • apply a broad knowledge of Custom functions, responsibilities and organisational linkages. Ability to perform a range of routine administration functions. Ability to perform a range of complex administration functions. Ability to develop localised procedures and to adapt systems and processes as required. Proven ability to provide executive secretarial support. General administrative skills including photocopying, filing, electronic records management, responding to emails, typing correspondence, and other duties as required. General administrative skills including photocopying, filing, electronic records management, and other duties as required. The ability to develop localised procedures. Ability to transcribe to the designated standard in a timely manner using appropriate technology. Demonstrated computer keyboard data entry and word processing skills. Demonstrated skills in office management. Experience in medical administration / reception. Ability to effectively interpret, organise use numerical data. The ability to gather and analyse information. The ability to analyse data and present relevant findings. Experience in research and statistical analysis. Ability to support Divisional change management initiatives. Excellent verbal and written skills and sound interpersonal skills. The ability to use open communication skills. Good communication and interpersonal skills with client focus. Ability to explain technical information to non-technical people. Ability to write and edit a range of communication and media materials to a high professional standard within deadlines. Demonstrated ability to prepare complex written information. Experience researching, writing, editing, and producing quality information products in plain language (such as media releases, publications, editorial and web copy). Demonstrated ability to prepare complex reports, policy papers and briefings. Demonstrated experience in preparing high-level correspondence and briefings. Demonstrated ability to document the outcomes of research. Demonstrated proficiency to communicate in a variety of contexts to a wide range of audiences. Experience in the management of contracts. Contract management experience including the identification and resolution of issues in a contract management environment. Knowledge of corporate governance in the public service setting. A strong customer focus together with demonstrated customer service skills. Experience working in a call centre environment and good demonstrated customer service skills over the phone. The ability to deal with customers in a challenging environment. A proven record in achieving sales targets. The proven ability to make complex decisions. The proven ability to make difficult decisions. • demonstrate problem solving skills. Experience as a graphic designer. Demonstrated experience in graphic design using Adobe Creative Suite 6 to develop concepts and deliver press ready artwork. Experience in engineering that would allow the incumbent to perform the duties of the role. Demonstrated ability to scope and undertake engineering design tasks. Demonstrated ability to document engineering design tasks. Demonstrated ability to plan, lead and control engineering projects. Knowledge and understanding of Occupational Health and Safety (OHS). Demonstrated commitment to managing and controlling occupational health and safety risks. Knowledge of the practical application of Occupational Health and safety measures in the workplace. An understanding of and commitment to the principles of Equity and Diversity. An understanding of and commitment to the Australian Public Service Code of Conduct. Knowledge of and commitment to workplace diversity, Occupational Health and Safety, and consultative work practices. Knowledge and understanding of Equal Employment Opportunity (EEO). Knowledge and understanding of Ethical Practice. Knowledge and understanding of Ethnic Affairs Priorities Statement (EAPS). Knowledge of financial business practises and processes. Uses knowledge to enable effective performance and service delivery of financial functions in accordance with established policies and procedures. Demonstrated experience in the delivery of accounting services to meet customer requirements. Ability to process basic financial transactions. Demonstrated experience across the range of human resource disciplines. Demonstrated knowledge of government recruitment practices and the ability to provide recruitment services. Experience with and sound knowledge of records metadata standards, records classification, sentencing and records disposal in an electronic environment. Knowledge of electronic file management systems. Demonstrated computer literacy skills, including the ability to use spreadsheets, databases and word processing applications – example one. Demonstrated computer literacy skills, including the ability to use spreadsheets, databases and word processing applications – example two. Word processing and database skills and the ability to learn new computer packages. Competent word processing and database skills and ability to broaden computing experience with other packages. Including the ability to review and verify data. Demonstrated experience in relevant computer applications, including financial software. Experience working with end-users to translate business requirements into systems specifications. Ability to provide IT support to users in a help desk environment. Maintain and support a network environment. Demonstrated knowledge and experience in applying WC3 web standards and utilising web technologies including HTML, XHTML and CSS. The ability to manage website development projects. Experience in SAP Basis operations, SAP transport mechanisms and supporting SAP within a Microsoft Server environment. Please summarise your technical skills, knowledge and qualities relating to database administration. Technical skills in the installation, configuration, and maintenance of Unix and Windows operating systems. Supports and cultivates productive working relationships. Solid skills in client engagement. The ability to handle difficult people and situations. The ability to manage relationships with both suppliers and vendors. Demonstrated experience in consulting with senior managers and staff at all levels of an organisation – example one. Demonstrated experience in consulting with senior managers and staff at all levels of an organisation – example two. Proven experience in initiating and maintaining relationships with key stakeholders. Ability to work in a joint service/civilian environment including the understanding of service terminology and writing. Experience in the management of inventory including stocktaking. Legal experience that would allow the incumbent to perform the duties of the role. The ability to interpret and apply legislation, guidelines, instructions, policy and procedures. Knowledge of Australian Electoral Legislation and the electoral system. Sound understanding of the Department of X Certified Agreement and associated policies and procedures or the ability to quickly acquire. Experience in, and an understanding of, Local Government. Commercial and general financial and economic knowledge. Record of achievement in managing a small organisation or division of a larger organisation and demonstrated ability to plan and operate strategically in multi-disciplinary environments. Well-developed management skills and experience, including people and resource management skills. Willingness to work in a stressful environment, with proven techniques and the ability to manage stress levels. Knowledge and experience working in communications and media on large scale events. Demonstrated experience in managing media, advertising, the Internet, printing, merchandise and creative contractors and consultants. Experience assisting the development, management and implementation of communications advice, strategies and plans. Experience in the management of health services. Demonstrated capability, experience and proven record of achievement providing mental health services. Demonstrated understanding of the obligations of a nurse. The demonstrated ability to provide patient-focused care. The ability to manage the workloads of yourself and others in a health care setting. Provisional registration with the Psychology Board of Australia and eligibility for membership with a relevant professional Body. Exemplifies personal drive and integrity. Displays personal drive and integrity. The demonstrated ability to use initiative and be proactive. Ability to maintain confidentiality and exercise judgement and discretion. 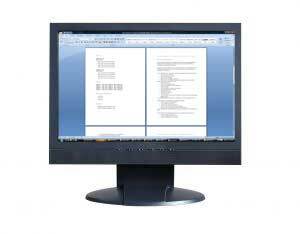 Displays confidentiality in day to day operations. Ability to contribute and participate in continuous process improvement. Experience developing policies and procedures. Experience developing policy and providing advice on policy issues. The demonstrated ability to provide timely advice on complex policy issues. Ability to analyse and develop solutions to problems. Knowledge and understanding of Government procurement policies and contemporary procurement practices. Experience working as a procurement officer. An understanding of Simple Procurement processes and the important factors in actioning multiple and diverse procurements. Experience working in a project management environment, managing multiple initiatives. The ability to produce project schedules and plans. Experience managing risk in a project management environment. An understanding of risk management principles and practices. Understanding of and experience in quality assurance. Relevant experience with security planning in a government context. Previous experience (including volunteer &/or work experience placements) in the fields of social work, child development or child protection. The ability to strategically influence management and stakeholders to achieve required outcomes. Ability to effectively supervise staff and to contribute to staff development. The ability to plan workloads, organise resources, control progress and lead others. Supervision skills, including the ability to effectively lead a small team. Record of successful teaching experience and curriculum implementation. Demonstrated ability to develop training, assessment and delivery plans to suit individuals, groups or workplaces. Capacity to monitor and assess student learning data and to use this data to inform teaching for improved student learning. A solid understanding of the teaching subject matter and how to convey this to students. The ability to deliver learning and development programs. Demonstrated ability to work in a team-based environment. Ability to work as an individual and/or in teams. The ability to work within a team and in collaboration with other professionals and organisations. Develop and implement work plans. High level of organisational skills and the ability to prioritise work to meet strict deadlines. Good organisational skills and the ability to maintain confidentiality. Demonstrated organisation and time management skills and the ability to work independently when required. The ability to work as an individual.